News. Sigma - your business, completed. Following the UK’s decision to leave the EU, it's our priority to make sure that our customers are not impacted by the impending changes on March the 29th. The picture of a post Brexit UK is still unknown with key decisions yet to be made and because Jersey is not part of the EU, the UK will be responsible for representing our interests in their negotiations with the EU. However, we have carefully considered how the impact of the UK leaving Europe will affect our customers. Sigma have been providing IT solutions in Jersey and Guernsey for over 50 years and have developed a depth of experience in an ever-changing industry that should help us deal with Brexit. We operate a 24-hour support line, manned by in-house highly qualified local engineers, many of which are locally born, all of which are permanent Jersey, Guernsey and IOM residents. Our consultants, engineers and programmers will ensure that our clients continue to have everything they need to continue their business. As a local company providing local solutions we are insulated to some degree from organisations with links in Europe. Our principal technology partners are Fujitsu the leading Japanese information and communication technology (ICT) company and Konica Minolta the leading Japanese managed Print and Document Management Solutions company, with their head office in Basildon UK. We are confident that as much as possible we are insulated from any dramatic changes post Brexit and we can continue to serve our customers in the future. We will continue to monitor the situation on a regular basis and consider our position accordingly. Le Bordage joins in Christmas Lights Festival for the first time in 15 years - thanks to Fujitsu. Guernsey, 12th November 2018: Fujitsu, the leading global technology company, has today announced its commitment to making a donation to the St Peter Port Christmas Lights Charity, which will enable Le Bordage to participate in this year’s Christmas Festival for the first time in 15 years. Fujitsu believes in connecting and empowering communities, and wants to create a digital future for the island of Guernsey. Fujitsu has already been working with Sigma on the island for over 20 years, and by sponsoring the festive lights Fujitsu is demonstrating its commitment to supporting people, businesses and communities in Guernsey. Robert Sillars, CEO at Sigma, said: “The Christmas Festival lights display is a great spectacle for the whole community and we are delighted that our partner, Fujitsu, has made it possible to extend the lights to Le Bordage. The festival provides the perfect opportunity to enjoy some festive entertainment and enable everyone to share the Christmas spirit”. Fujitsu is the leading Japanese information and communication technology (ICT) company, offering a full range of technology products, solutions and services. Approximately 140,000 Fujitsu people support customers in more than 100 countries. We use our experience and the power of ICT to shape the future of society with our customers. For more information about Fujitsu and Guernsey go to opportunity.gg. Sigma is the Channel Islands’ largest IT business solutions company. The company has recently been awarded Fujitsu SELECT Expert status, which enables them to build on their 20-year relationship with Fujitsu to deliver Fujitsu’s innovative IT solutions locally. Sigma host Director,- Financial Services at Fujitsu Worldwide. We are delighted to be hosting Mark McAlpine Director, - Financial Services at Fujitsu Worldwide. Mark is over with us on Wednesday 19th of September to meet key decision makers amongst Jersey business and the States of Jersey before making a similar presentation in Guernsey on the 20th. Mark is responsible at Fujitsu to lead its engagement with Financial Services organisations and develop its technology stack in order that it can address industry-specific challenges such as but not limited to MiFID II, GDPR and Brexit. Mark uses his wealth of knowledge and experience from working within Financial Services organisations for much of his career to create a deeper understanding of our client’s strategy. In addition to this, Mark responsible for driving co-creation with our sector partners in areas such as Artificial Intelligence, Blockchain and Quantum-inspired Computing. With over £2bn invested annually in innovation, Fujitsu is very well placed to work alongside Financial Services organisations and provide problem solving technology solutions, such as Compliance without Complexity and Digital Annealing. This will be a fantastic opportunity to understand the challenges within the IT market place and understand how Digital transformation strategies can empower better decision making. We’d like to congratulate our Head of IT, Bernie Hopley (pictured), on successfully passing the exams required to qualify as a EU GDPR Practitioner. The GDPR Practitioner Certificate is aimed at those giving professional advice to organisations in the public or the private sector. The European Union (EU) made an impact across the globe with passage of the GDPR in May 2016. When it goes into effect on May 25, all companies—including Channel Island firms—doing business with individuals located in EU member nation territory must comply with the law’s far-reaching provisions. Failure to act quickly to prepare for the regulation could have serious consequences—to the organisation’s bottom line, customer relationships and brand image. Now is the time for organisations to begin allocating resources to implement governance processes and controls, and to identify tools to help with their compliance of the GDPR legislation. Not sure if GDPR legislation effects your organisation? Contact our Business Development Manager Dan Hawgood on +44(0)1534 711536 to find out. 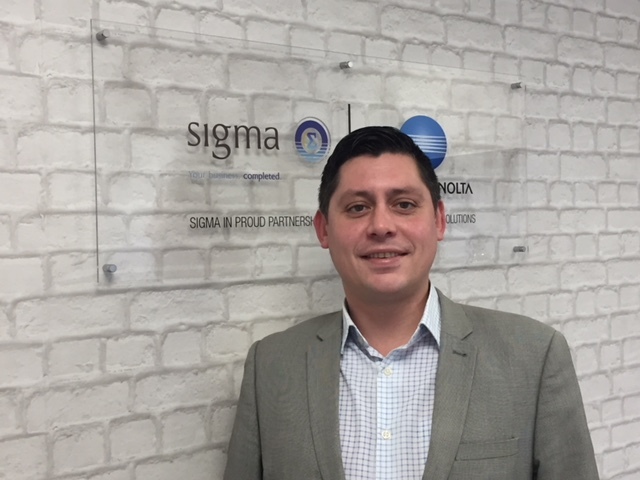 Sigma is pleased to announce the appointment of Daniel Hawgood, who joins the Jersey office as an IT Business Development Manager responsible for the SME IT market. Dan moved to Jersey in 2001 to further his career in finance. The majority of his career has been spent in relationship management, dealing with a diverse client base, ranging from high net worth individuals to global enterprises. After 15 years in the finance industry, Dan moved in to business development where he specialises in helping businesses achieve their needs through a consultative approach. Dan's business development expertise is in the digital, communication and IT sectors. Dan likes to work closely with companies, supporting them with their functional needs, improving efficiency and reducing costs, thus allowing them to concentrate on their own priorities and their own clients. Sadly, he supports Newcastle United! Fujitsu Awards Sigma with SELECT Expert status, its highest partner accreditation. Fujitsu today announces that its longstanding partner Sigma CI has been awarded Fujitsu’s SELECT Expert accreditation. The Channel Island-based business solutions company will deliver Fujitsu technologies to its customers, thus supporting them in their journey to digital transformation. The accreditation is an extension of a twenty year old relationship which has seen Sigma provide IT and device support for Fujitsu throughout Jersey and Guernsey. As part of the exclusive program Sigma will deliver Fujitsu’s full portfolio of hardware technologies including: PRIMERGY, Fujitsu’s extensive Industry Standard Server portfolio. ETERNUS, Fujitsu’s range of innovative storage products and Fujitsu’s PRIMEFLEX Hyper Converged and Converged Infrastructure solutions. The partnership will also give Sigma access to skills and technical expertise offered by Fujitsu, enabling them to support customers in their chosen IT infrastructure journey including design, consultancy, implementation and post-sales service offings. Following a recent €1m investment in new online tools and a shift to direct sales, the move comes as part of the evolution of Fujitsu’s channel partner program. From investing in new online tools for partners to the streamlining of its new deal registration process, Fujitsu aims to help partners better address their customers’ evolving digital transformation needs. 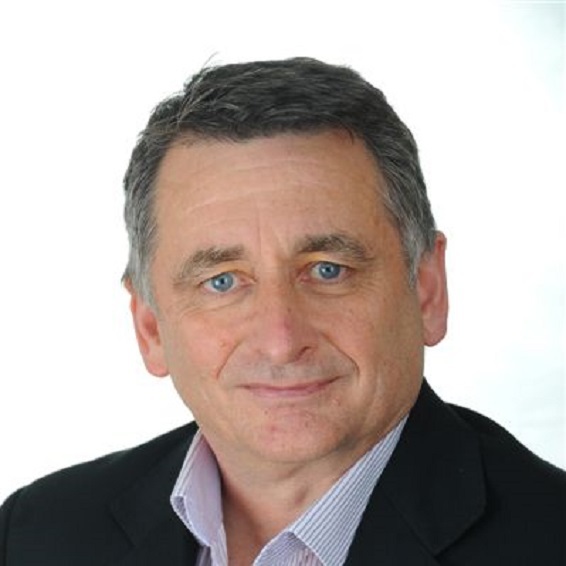 Paul McLean , Channel Sales Director at Fujitsu, added: “Having the Channel Islands’ largest business solutions company as a SELECT Expert partner is a salute to the longstanding relationship we’ve worked to build with Sigma over the years. Their expertise and reach has been invaluable, and we’re pleased to be able to provide them with a diverse portfolio of solutions that can help them deliver end-to-end support for their customers. Our recent Fit for Digital survey found that 52% of business leaders say their business will not exist in its current form in five years, meaning that digital transformation is vital for European businesses. Having a strong network of channel partners like Sigma is essential for us to support them on that journey”. Robert Sillars, Group CEO of Sigma said: “We are delighted to further consolidate our long-standing partnership with Fujitsu. The nature of operating a business in the relatively small UK offshore business community is that you need to nurture a close trusted connection with your customers, you can’t buy their trust, or successfully impose it, it needed to be fostered through a shared responsibility and a desire to achieve the same goals. Our appointment as a Fujitsu SELECT Expert partner means that we can further strengthen our relationship with our existing and new customers, offering them diverse and robust trusted solutions for the challenges that are involved with the essential future digital transformation for both European and Channel Island businesses”. Sigma, in partnership with global IT firm Fujitsu, has started enabling clients in the Channel Islands to prepare for the impending EU General Data Protection Regulation (GDPR). The GDPR represents a major overhaul of privacy law for the personal data of all EU nationals, so it is of particular importance to many firms which serve the EU market. It is likely to become the new global standard for data privacy, as more and more countries around the world adopt its principles. It introduces significant new obligations to protect data, report breaches and embed data privacy across the organisation. Embedding data privacy by design into all systems or processes. Sigma already works closely with Fujitsu as its strategic partner in the Channel Islands, providing customers with a local presence as well as front-line IT support, services and hardware. Sigma has been established for over 80 years, providing its customers throughout the Channel Islands, with a local presence as well as front-line IT support, services and hardware. Sigma has worked closely with Fujitsu for more than 20 years as its strategic partner in the Channel Islands, Sigma specialises in supporting Channel Island organisations with a comprehensive range of business products and services. Fujitsu is Japan's biggest information and communications technology (ICT) company, and one of the largest in the world. It has 155,000 employees worldwide, 12,000 in the UK, and operates in over 100 countries. It is technologically sophisticated, spending over $3 Bn per annum on research & development and holds about 78,000 patents worldwide. Whether an organisation needs hardware, software or professional advice, Fujitsu can provide it to world-class standards. Fujitsu and Sigma jointly enable businesses in the Channel Islands to understand the GDPR, develop a strategy and policies for achieving compliance and, crucially, turn those policies into day-to-day reality. The combination of Fujitsu's world-class capabilities and Sigma's local reach makes for a truly powerful resource to meet the demands of the GDPR and sustain the Channel Islands' reputation as a secure and trustworthy place to do business. We are pleased to announce today that Sigma the Channel Island & IOM technology and business support company acquired the business of the Guernsey-based Information Technology consultancy company, Bleu IT consultants Limited. Initially created to service the IT needs of three fiduciary businesses in Guernsey using the combined resources of their internal IT department, they now provide services and support to around 180 clients in Guernsey and other jurisdictions, as well as across many sectors outside of finance. Bleu IT’s business has been transferred to and will be operated by Sigma. Bleu IT’s Senior Management Team who founded the business in 2002, together with their specialised team of IT professionals have joined Sigma. This is a move that will enhance Sigma’s existing IT offering and will allow it to offer clients a wider range of services as a complement to its core computer support and services business. Sigma has been established for over 80 years throughout the Channel Islands, specialising in supporting organisations with a comprehensive range of business products and services. 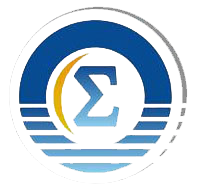 Sigma supplies a complete range of computer and technology related products, including consultancy, warranty, network skills, IT Security systems design and programming, cabling, communications, GDPR, hardware and software supply, software support, bureau and payroll services and engineering maintenance services. If you would like more information on this acquisition or wish to schedule an interview with Robert Sillars or Matt Le Huray. Sigma, the pan-Channel Island technology and business support company has recently acquired St Helier based Caxtons. Caxtons shall remain at 35, Broad Street with the same team of staff, led by Fiona Cavalli, the original owner of the business. The newly combined business shall benefit from consolidated production for both Caxtons and Sigma’s print works, combining state of the art digital printing technology and traditional lithographic production, offering a complete range of printing services. Sigma has been established for over 80 years throughout the Channel Islands, specialising in supporting organisations with a comprehensive range of business products and services. If you would like more information on this acquisition or wish to schedule an interview with Robert Sillars or Fiona Cavalli. In support of the 2016 National Festival of Learning, which works to encourage organisations and individuals to explore and celebrate the opportunities connected to adult learning and uncover what they ‘love to learn’, Pitman Training has revealed that the top five transferable skills that add value to careers and CVs are currently: - IT, Microsoft Office, Project Management, Book-keeping and Social Media. From their experience helping local people to get a job or progress up the career ladder, Pitman Training Jersey reveals that skills in these areas are highly valued by local employers and can help to open doors to new careers, as well as up the pay scale of existing roles. Participants in the Festival of Learning are being encouraged to discover what they ‘love to learn’ and throughout the week of 13th June Pitman Training in Jersey will be offering free tasters of a range of courses to help people explore what suits them. For those who feel they are at a crossroads, or who are at the start of their career journey, staff will also be giving their time to provide free guidance and a free five year tailored career plan, based on 1-2-1 consultations, is a further service being offered alongside CV writing workshops and recruitment advice? With statistics revealing that participating in part-time learning as an adult raises life satisfaction by the equivalent of £1,600 of income per year on average1 , Jersey Manager John Sowerby hopes people will take advantage of this abundance of free support at the community’s fingertips, in celebration of the Festival of Learning to help them move forward in their careers. Anyone interested can drop in to the centre at any point through the week or alternatively, call us to find out more information on the career clinics available, you can call 711532 or find visit www.pitman-training.com/Jersey . Claire Lister, MD of Pitman Training Group, is a huge advocate of lifelong learning, and having headed up Pitman Training for 18 years and now developing the international franchise expansion, she regularly undertakes CPD (Continuing Professional Development). Pitman Training has been synonymous with office based training since Sir Isaac Pitman invented shorthand in 1837, and the company now helps thousands of students each year progress their careers through tailor-made study programmes and Diplomas which are CPD accredited. One to one support is available at over 100 local centers, as well as via online courses, and short seminars to help top up skills. For more information see www.pitman-training.com/Jersey . 1. Find ways to fit it into your life - learning new skills needn’t eat up all your free time - find a slot where you could replace something else with an hour or so of online learning, once it’s in your routine it’s in. 3. Be aspirational. Imagine why learning something new would help you and see what this looks like. No-one likes doing things for the sake of it but if your efforts will lead to more money, travel opportunities, recognition you crave, more flexible working use this as your focus. 4. Find a learning ‘buddy’ - connecting with someone else trying to do the same as you means you have someone to call on for extra motivation. This can be helpful when you’re struggling to focus. You could find someone via a learning centre, or often through social media, where people share their experiences. 5. Take things a step at a time. Every extra thing you learn has a benefit to your career so make sure you reward yourself as you work through your training and practice each new skill to build confidence in it before taking on the next one. This way you’ll be riding high as you take on a new challenge and will feel your mission is entirely achievable. Epos Now , the UK’s largest EPOS provider is now available throughout the Channel Islands through Sigma. Recognised by the Sunday Times 2015 Tech Track 100 as the 13th fastest growing tech company in the UK, its systems are trusted by over 10,000 businesses in the retail and hospitality sectors worldwide. Epos Now is a user-friendly modular system that integrates with existing software, allowing scalability which can grow easily with your business. Staff can be trained in just 15 minutes and the system can be accessed from anywhere to monitor and report in real time. Come and have a chat with us and we would be happy to show you how it can work for your business. 3CX Phone Systems, the innovative communications company has chosen Sigma as their partner in Jersey and Guernsey. 3CX was recently voted overall winner in the Software: Productivity sector of the 2015 CRN Tech Innovator Awards for their Webmeeting solution , which was launched in July 2015. Their phone systems are software based PBX solutions that works with SIP standard based IP Phones, SIP trunks and VoIP Gateways to provide a full range of products for SMEs. 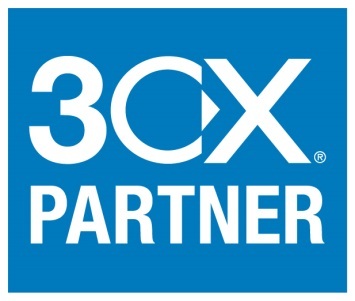 Contact Sigma to arrange a meeting to discuss how 3CX can benefit your business. 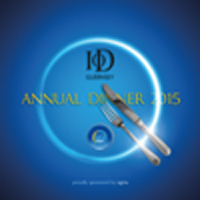 Sigma hosted the annual IOD dinner in Guernsey on Wednesday (18/03/15) at the St Pierre Park. The event was attended by Directors and their representatives from a diverse range of Channel Island businesses. Sigma was supported throughout the evening by artwork and animated graphics designed by students at the Guernsey College of Further Education. Robert Sillars (CEO, Sigma) welcomed the attendees and talked about Sigma’s role in the business community and how businesses as a whole can support and work with education in providing the best start for students in the Island. (Download full speech). The keynote speaker was Debra Searle MBE the successful adventurer and motivational speaker who successfully rowed solo across the Atlantic. Sigma, the pan-Channel Island company has recently acquired Guernsey based software development and consultancy business, Global Computing. The combined Sigma business will employ over 150 staff throughout the islands, with software teams based in both Jersey and Guernsey, enabling the company to continue its high levels of customer service, development and support. Sigma’s merged payroll and HR solution shall manage more than 30,000 customer employees throughout Jersey, Guernsey, Isle of Man and other jurisdictions and the company plans to expand this service further, into new markets and territories. The acquisition shall also enable a range of enhancements to the software, combining the best elements of both systems to the benefit of Sigma’s customers. Global’s payroll and HR solutions are already widely used by a diverse range of clients throughout the Channel Islands and overseas. Sigma has been established for over 80 years, specialising in supporting organisations throughout the islands with a comprehensive range of business solutions, software, products and I.T. support. If you would like more information on this acquisition or wish to schedule an interview with Robert Sillars or Les Bichard please contact Amanda Overland on Jersey 711542. The well-known, pan-Island business, the Sigma Group has now rebranded as “Sigma”. Sigma has been serving all aspects of the business community throughout the Channel Islands for over 80 years, employing over 120 people throughout Guernsey and Jersey. Services include I.T. solutions and payroll/HR software, printers, stationery, print services, furniture and more recently training. Following significant management changes over the last year, Sigma’s repositioning in the marketplace has included building redecoration, newly designed sales collateral, refreshed logo and strap, and a brand new website and state-of-the-art ecommerce ordering facility. The main building, in Jersey which houses the print division and showroom on Don Road has been redecorated in keeping with its 1930s heritage, bringing the external decor in-line with the new brand image.